Samsung Galaxy A5 is a seamless fusion of 3D glass and metal frame with a modern finish. The smartphone is powered by 1.9 GHz Octa-core Samsung Exynos 7 processor and runs Android 6.0 out of the box. Featuring 16MP primary camera, Samsung Galaxy A5 is provided with 5.2-inch Full-HD Super AMOLED display. Powered by 3000 mAh battery, this Samsung smartphone comes with a USB C-type charging port. Samsung Galaxy A5 features 3GB of RAM and 32GB internal storage, which is expandable up to 128GB. The CMOS 16MP front-facing camera clicks awesome-quality pictures in both indoor and outdoor conditions. While the smartphone has a beautiful rounded-corner design, the internal storage and average battery life often become a reason to upgrade to a more powerful device, especially when you have a range of options to choose from. Needless to say, it’s time to upgrade and sell used Samsung Galaxy A5. You can sell old mobile at cashify.com for best resale value. Why Sell Your Old Samsung Galaxy A5 On Cashify? 3. On the left-hand side menu, select the Galaxy A Series under the Series menu. 4. 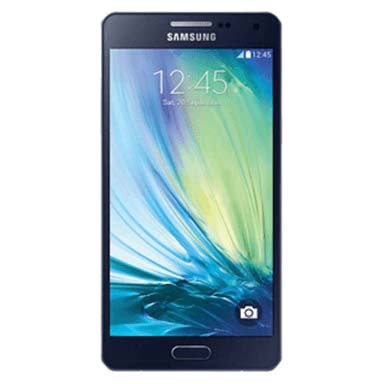 Now, click on Samsung Galaxy A5 and you’ll see an estimated price to sell old Samsung Galaxy A5 for right away. 5. Now, click on the Get Paid button to proceed. Simply provide some basic information about your used Galaxy A5 and you’re done. You will see the exact resale value of your Galaxy A5 right there. At Cashify, we arrange a free pick-up and provide you with the payment at the address of your choosing. Cashify is the most trusted platform in India to sell mobile phones online and other gadgets for instant cash on pickup. Schedule a pickup now!